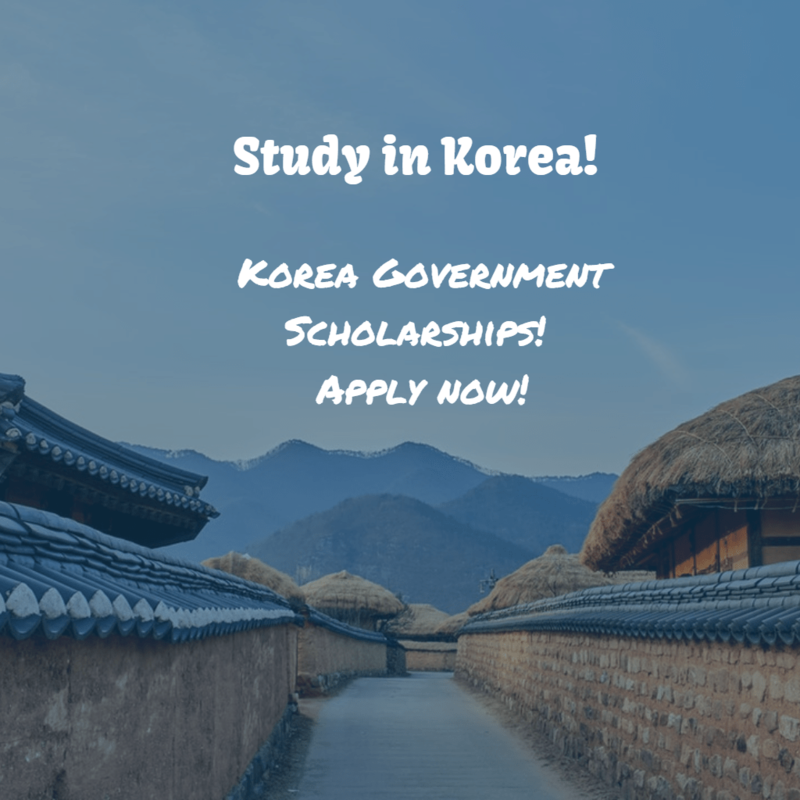 The Korean government Scholarship program provides international students with opportunities to conduct advanced studies in undergraduate and graduate programs at higher education institutions in the Republic of Korea. This scholarship program aims to promote international exchanges in education and mutual friendship between Korea and other countries. KGSP supports future global leaders while promoting international cooperation in education by inviting talented international students to the Republic of Korea to advance their studies. The four-year undergraduate program is available at designated universities. The scholarship is however not applicable to courses that take longer than four years, e.g., Medicine, Dentistry, Architecture, and Pharmacy. Grantees must take a preliminary Korean language course for at least a year, at a language institution located on campus within domestic universities. On completion of the 1-year Korean language course, grantees can begin their four-year undergraduate degree. Grantees must take a preliminary Korean language course at the institution designated by NIIED. The institution will be specified in a letter of invitation after the announcement of final successful candidates. Grantees must reach level 3 in TOPIK (Test of Proficiency in Korean) after the completion of a one-year preliminary Korean language course in order to take a bachelor’s degree course. Alternatively, the grantee may take an additional 6-month Korean language course WITHIN the scholarship period stipulated in a letter of invitation. Grantees with level 5 or higher in TOPIK can begin a bachelor’s degree course from 2018 spring semester without the preliminary Korean language course. Tuition fees are waivered by the host university. All the tuition costs are covered by NIIED and the host institution. Applicants from all countries that have diplomatic relations with Korea are welcome to apply. Only those who hold a citizenship of the countries below are eligible for the program. The list below shows the countries and the scholarship quota for each one. Prospective applicants must meet the following qualification criteria. Should have finished or be scheduled to finish formal education (up to high school) by the date of arrival. For detailed information on the application deadline and submission of required documents, applicants should contact the APPROPRIATE KOREAN EMBASSY (or Korean Education Center) in the country of applicant’s origin (or in the neighboring country), the organization in charge of the first round of selection. After all documentation is submitted, NIIED evaluates the candidates and passes on the results the embassies. Applications that are DIRECTLY FROM AN APPLICANT or THROUGH FOREIGN EMBASSIES IN KOREA without the recommendation of the organization in charge of the first round of selection will NOT be accepted. Applications open in September 2018. Results will be announced in January 2019.